Ever-reliable leaker Evan Blass of Venture Beat has just given us our best look at Samsung’s Galaxy S8 yet. The report confirms several of the details we’ve already learned about the device, as well as providing an announcement and release date. Blass confirms that the devices are foregoing the front fingerprint scanner for one place on the rear, adjacent to the camera, and that Samsung will implement the Note 7’s iris scanner. Samsung will also likely be dropping the ‘Edge’ moniker this time around, as both sizes will come with a curved display. And as detailed in a previous report by The Guardian, the devices will come in two screen sizes: 5.8-inches and 6.2 inches. Yes, that makes the diagonal on both screens longer than the Note 7’s. This is thanks to a new, longer 18.5:9 aspect ratio to minimize the device’s bezels, as seen with Xiaomi’s Mi Mix and rumored to be coming to LG’s G6. 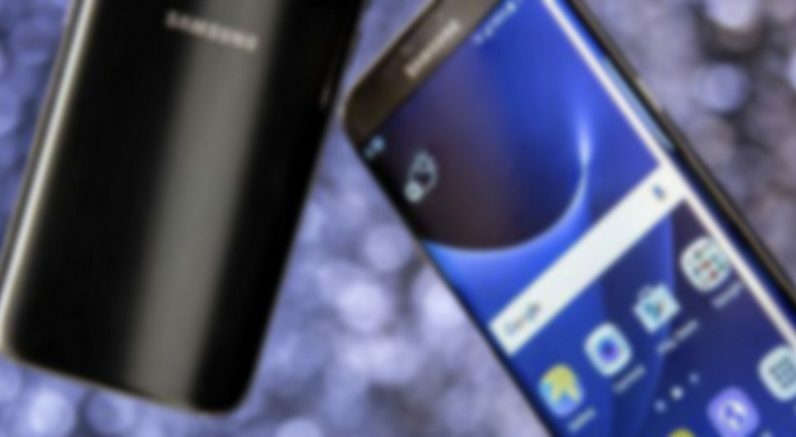 The screen is rumored to take up 83 percent of the front, compared to 72 and 76 for the Galaxy S7 and S7 Edge, respectively. Blass suggests Samsung isn’t even putting a logo on the front of the devices, unlike teased in a previous supposed leak (perhaps it was a prototype?). Also confirmed by the image: a headphone jack! Both devices will come equipped with a Snapdragon 835 (or a new 10nm Exynos, depending on the region). The processors are purported to be 11 percent faster, provide 23 percent graphics and use 20 percent less battery. Which is good, because the devices are maintaining the same battery sizes, 3,000 and 3,500 mAh, despite the larger screens. Of course, it’s possible Samsung has also made the displays themselves more efficient. But on the software front, the devices will feature some object recognition chops, allowing for “visual search functionality.” That might help you shop for things you’ve photographed or translate text, but those are just guesses for now. Also on the software front, the phones will reportedly come with a feature called DeX that allows you to use your phones in a desktop mode by connecting them to an optional dock, much like Microsoft’s Continuum. The phones will also be the first to introduce Samsung’s voice assistant, called Bixby. Finally, and as previously rumored, the devices won’t be announced during Mobile World Congress as usual. Instead, Samsung is waiting an extra month to announce them at an Unpacked event in New York on March 29. The phones will then be released on April 21. That’s because Samsung is being extra cautious after its Note 7 battery fiasco, which is probably the right move. It’s also worth noting that the company is rumored to be keeping all the Snapdragon 835 chips for itself, so if you want the latest and greatest Android performance, you’ll have to wait until April.